I honestly don't know why a lot of people loved this book, because I really didn't. If I remember correctly, I just finished this one because I dislike leaving a book unfinished. The book certainly has good parts, it was very descriptive and the author really captivated the beauty of this book's world through her words. It was very vivid and you can get lost reveling in it but this became the problem. The beautiful descriptions just went on and on, making the story slow-paced and dragging some time after finishing a third of the book. Some people may like this kind of writing style but it just really wasn't for me so I gave it a two-star rating. Here are reviews about it that I really agree to >> REVIEW 1, REVIEW 2. I also made a post about my thoughts about it on Tumblr, read about it HERE. Now this one, I don't get why it's overhyped. I read this book because it has A LOT of good reviews, it has a 4.35/5 rating and a friend recommended it to me, so why not give it a try? I was very enthusiastic to get started especially when I found out that Death is the narrator. I thought it was so cool by then. I finished the book and it didn't make any impact on me. It was boring and dragging. I kept waiting for the plot's climax to happen but it wasn't there. The run of the story was annoying and the book thief was just plain and boring and had no personality at all. This review was exactly how the book mainly was and the reviewer had awesome insight, haha! And here's another review I completely enjoyed reading because I totally agree with her. Last and definitely the least is this abomination. I am confused as to why a lot of people liked it. It has no plot, the characters are disgusting, it's an exceedingly nasty erotica, and just simply a disgrace to literature. This is the ONLY book I regretted reading, out of all the books I disliked. Four years ago, it was all over the internet and tons of people were crazy about it. A lot of Tumblr fan blogs were made for it and some of my acquaintances said it was really great. I just couldn't believe every word I read when I finally gave in to the hype. It was bad, like really bad. It's a complete waste of time. I didn't proceed to read the next two books because I don't want to disappoint and piss myself off again. Here are my early and final thoughts about it. 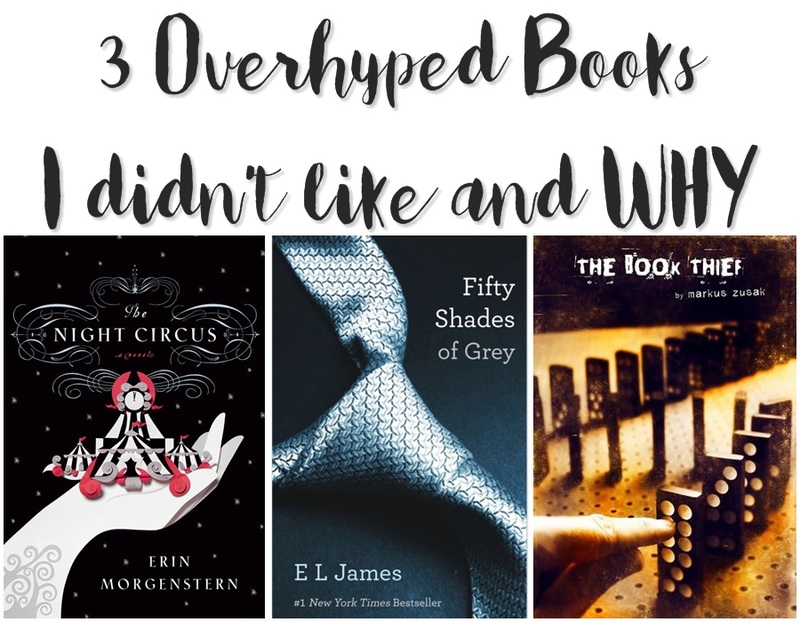 Do you have books you don't like? Books that disappointed you? Books that didn't live up to your expectations? Tell me I'm not alone here with these thoughts. Talk to me.